← New Online Photography Class – FREE For a Limited Time! 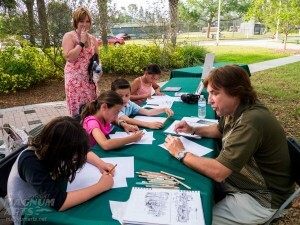 It was a busy weekend; Friday evening I had a table at the Shorecrest Preparatory School giving free 5-minute drawing lessons at an outdoor art event called the Artful Evening. 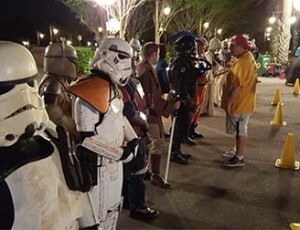 Directly from there it was up to Orlando for two 501st Legion events cheering on runners in Disney World’s half marathon, with back stage call times at 4 am. That meant a 2 am wake-up time. My table was filled all evening with kids who were eager to learn how to improve their drawing techniques. 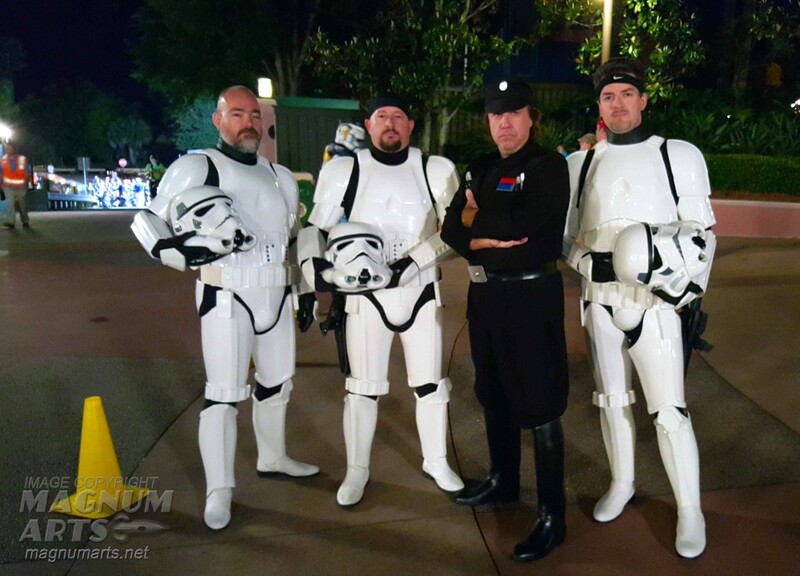 Below, members of the 501st Legion pose for a group picture before runners arrive at the ESPN Wide World of Sports complex in Disney World. 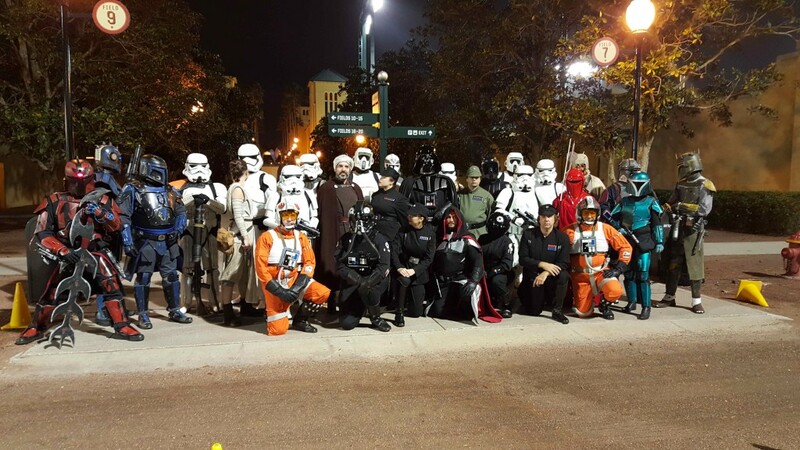 I am the imperial officer kneeling beside the orange-clad X-wing pilot on the right, front row. 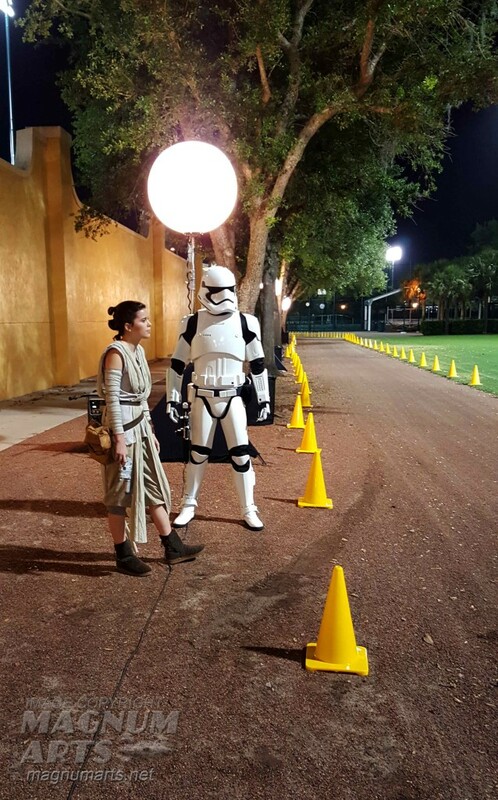 This was her first troop ever, cosplaying as Rey from The Force Awakens. She looks spot on! 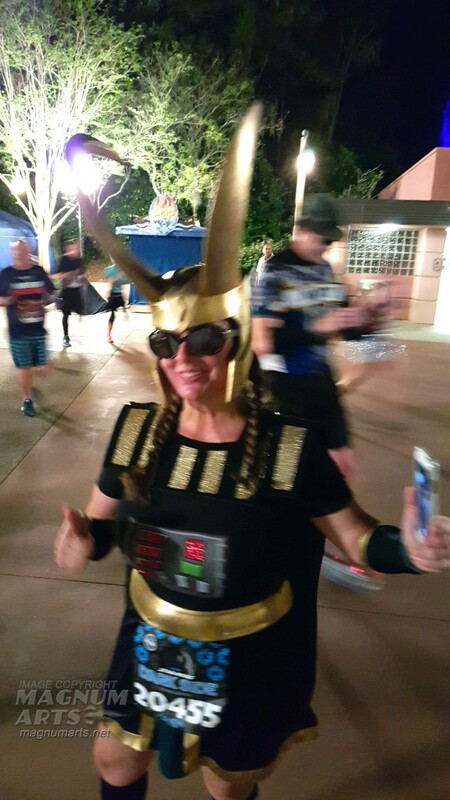 Runners gave us high-fives as they ran past; a lot of them were really gratified for us being there in costume to cheer them on. 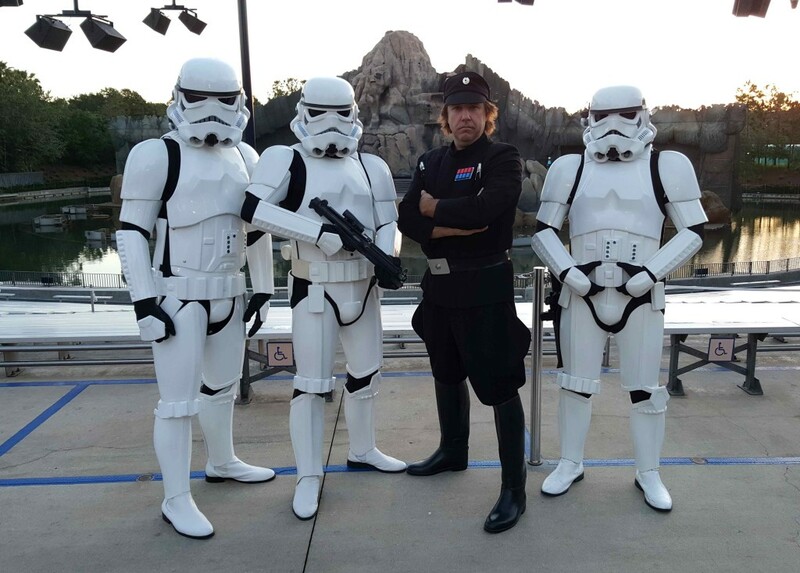 The next morning it was Hollywood Studios, where large numbers of runners stopped to take selfies with us, and the line to get a picture with Darth Vader was long. 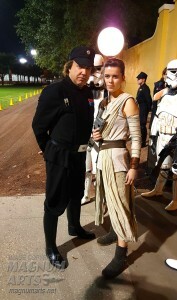 It was almost like a comic con! 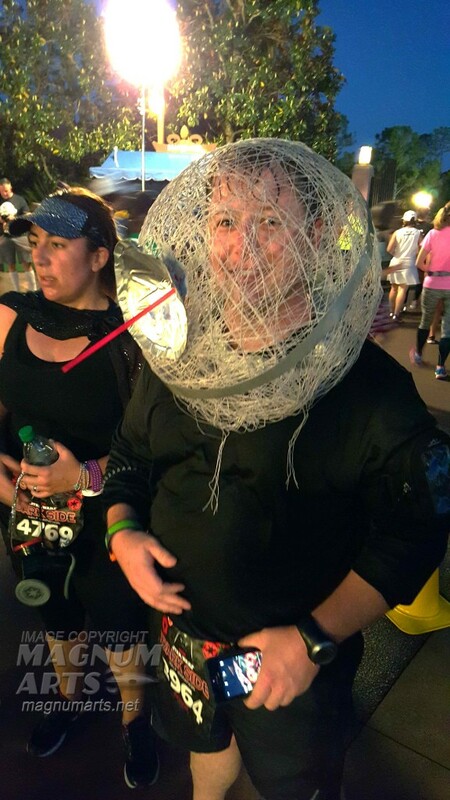 Below, we wait for the runners to arrive, which means time for a couple of pics! Passing through Hollywood Studios on the way back stage; the park is completely empty, a sight few people ever get to see! Of course we have to stop to take pictures. This video has been seen by well over three thousand people of my Magnum Arts Facebook page!